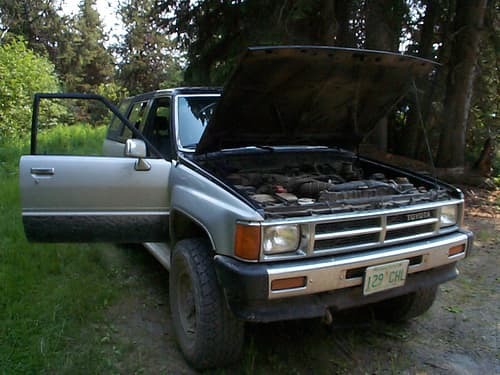 While driving down the road in your favorite truck, you might have had your engine overheat a time or two. You probably made a desperate attempt to find some water to cool it down. If you are on a deserted road, you are in a more serious situation because you may not easily find some coolant. Being a truck amateur, all you can do is open the hood, let the steam blow out and wait for a tow truck. Even though you might not know a lot about how to fix the truck, there are some things you can do to ward off the overheating truck. Always keep an eye on your trucks temperature gauge to see if it crosses the optimal line. If you drive continuously for hours, you should let the truck rest a few minutes after a long period of time. One of the causes of the truck overheating might be the improper circulation of the antifreeze inside the engine. Coolant plays a big role in keeping the engine cool during the warmer seasons. You should always check your coolant for any impurities and make sure it stays at optimum levels. If your trucks engine heats up while driving, turn the heat up in the truck so the highest temperature. This will drop the temperature in the engine down and checks the overheating. If you know where the antifreeze compartment is in the truck, pour a half cup of water in it. This dilutes the antifreeze and helps it keep circulating smoothly. Oftentimes, the trucks engine will overheat if the hoses fit poorly. If you have any bad-fitting hoses, replace them. You might also want to torque the hoses. Oftentimes, a hose might get blocked or dislocated. In this case, take the hose out, clean up the debris by allowing water to flow freely through it and put it back in the truck. If you are driving in heavy traffic, keep a good distance from other vehicles. Congested traffic can block the air flow into your truck and cause overheating. Check the overflow tank in the radiator to see if it is empty. If so, the car needs more coolant. If your truck radiator’s overflow tank has a non-pressurized cap on it, you can always add water. Never take the cap off when the engine is still hot. Wait for it to cool down, and turn the keys off. In addition to the above tips, always keep a few essentials in your truck such as a flashlight, water and antifreeze. Having a toolbox in the truck is always a good idea as well.